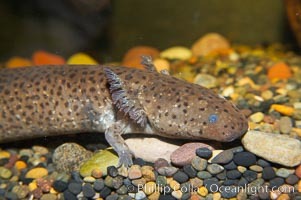 Axolotl. Axolotls are neotenic, which means they attain reproductive maturity while still in their larval form. 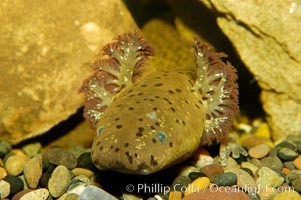 Axolotls are extremely endangered in the wild and protected by law. Newt / Salamander Photo. Spanish ribbed newt. Newt / Salamander Picture. Spanish ribbed newt. 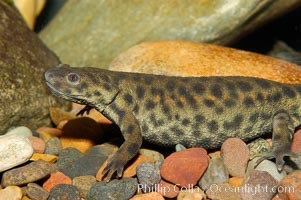 Stock Photography of Newt / Salamander. 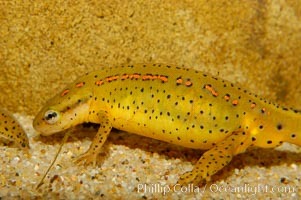 Swordtail newt. 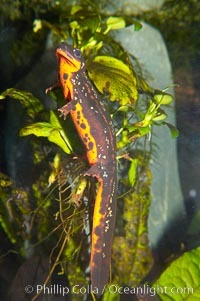 Photograph of Newt / Salamander. 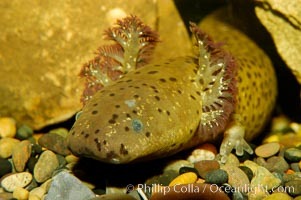 Lesser siren, a large amphibian with external gills, can also obtain oxygen by gulping air into its lungs, an adaptation that allows it to survive periods of drought. It is native to the southeastern United States. Newt / Salamander Photos. 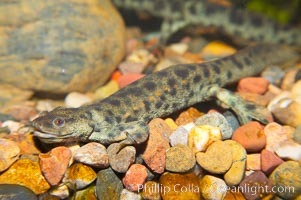 Lesser siren, a large amphibian with external gills, can also obtain oxygen by gulping air into its lungs, an adaptation that allows it to survive periods of drought. It is native to the southeastern United States. Newt / Salamander Image. 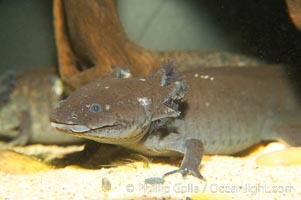 Axolotl. Axolotls are neotenic, which means they attain reproductive maturity while still in their larval form. 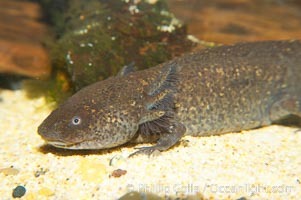 Axolotls are extremely endangered in the wild and protected by law. Professional stock photos of Newt / Salamander. 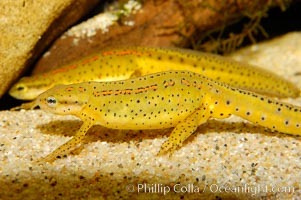 Spanish ribbed newt, native to Spain, Portugal and Morocco. Pictures of Newt / Salamander. 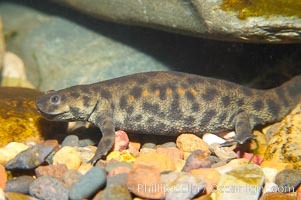 Lesser siren, a large amphibian with external gills, can also obtain oxygen by gulping air into its lungs, an adaptation that allows it to survive periods of drought. It is native to the southeastern United States. Newt / Salamander Photo. 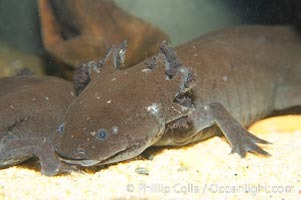 Lesser siren, a large amphibian with external gills, can also obtain oxygen by gulping air into its lungs, an adaptation that allows it to survive periods of drought. It is native to the southeastern United States. Newt / Salamander Picture. Eastern newt, native to forested areas of the eastern United States. Stock Photography of Newt / Salamander. Eastern newt, native to forested areas of the eastern United States. 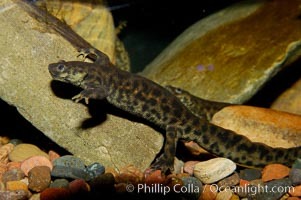 Photograph of Newt / Salamander. Eastern newt, native to forested areas of the eastern United States. Newt / Salamander Photos. 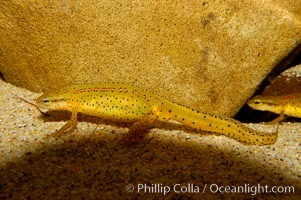 Spanish ribbed newt, native to Spain, Portugal and Morocco. Newt / Salamander Image.